iPhone X vs iPhone 8 vs iPhone 7: Upgrade or Not? iPhone 8/Plus, iPhone X, marking the 10th anniversary of iPhones, make things different. However, many smartphone buyers hovering between the expensive iPhone X/8 and iPhone 7/Plus are wondering what are the differences between iPhone 8/X and iPhone 7 in detail. Are the new iPhone X OLED screen, unique Face ID or wireless charing really worth the extra money? They need large lure to pay the $1,000, and what are they? Here is a quick comparison of iPhone X/8 vs iPhone 7/Plus on specifics and key featues to give users a glimpse of these smartphones before they make the buy. 1. Design & Display - The most notable difference is the radical redesign. 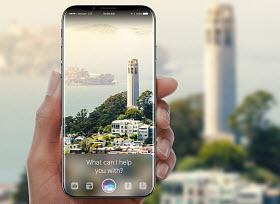 Unlike iPhone 8 continues the iPhone 7 design and LCD display with home button, iPhone X is featured with all screen OLED Super Retina display, which will reproduces colors more accurately and makes content much crisper. 2. 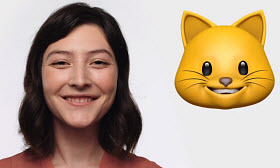 Face ID vs Touch ID - iPhone X is the first phone enabling Face ID. That is to say, you can unblock your phone, pay with Apple Pay for iTunes or App Store, and autofill the Safari with facial recognition once you set up Face ID on iPhone X. While for iPhone 7 and iPhone 8, you can only make these done with fingerprint sensor built into the Home button. 3. Camera - There is no difference on cameras in iPhone 7 and iPhone 8 but the upgraded 12MP rear camera in the latter. 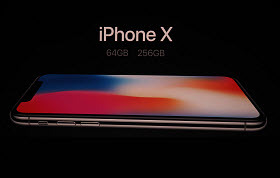 When it comes to iPhone X, it changes a lot including the dual-lens 12MP wide-angle and telephoto cameras, ƒ/1.8 and ƒ/2.4 aperture, portrait lighting, Quad-LED True Tone flash with Slow Sync, 7MP front camera enabling Animoji and more. 4. Charging - As for charging, iPhone 8/Plus and iPhone X is finally capable of wireless charging (works with Qi chargers). You are not only survived from the intricate USB cables, but also able to charge your iPhone 8 or iPhone X fast, up to 50% charge 30 minutes. Whereas if you insist on using iPhone 7 or eariler, you may still be disturbed by problems like iPhone battery life drain fast, unable to find your USB cable etc. Will you upgrade from iPhone 7 (Plus) to iPhone 8/Plus/iPhone X? iPhone 8, different from iPhone 7 and iPhone 7 Plus that are largely the same in overall design to iPhone 6S/Plus, will deliver an entirely different design. The next-gen iPhone goes backto the all-glass design, which has been used in iPhone 4 2010. The all-glass design in iPhone 8 means a redesigned chassis, which uses the forged steel instead of aluminum in iPhone 7/7 Plus. Upgrade iPhone 7 to iPhone 8 to enjoy the significant 10th iPhone. The current iPhone 7 Plus sticks a very similar screen to the iPhone 6s Plus: a 5.5 and 4.7 IPS LCD display with the same resolution (1920 x 1080) and pixel density (401 pixels per inch). The iPhone 8 and iPhone 8 Plus model inherit a 4.7-inch and 5.5-inch LCD Multi-Touch display, 1334-by-750-pixel resolution at 326 ppi, and 1920-by-1080-pixel resolution at 401 ppi display. Comparatively, iPhone X gets much better, super AMOLED display at ~458 ppi density, yet still inferior to Samsung 2017 flagship device when it comes to compare iPhone X with Galaxy Note 8 OLED display. Comparing with iPhone 7, iPhone 8 start at an even higher price for the entry-level - $699, while the iPhone 8 Plus starts at $799 and the iPhone X starts at $999. All the three iPhones comes with 64GB and 256GB storage options. The prices for the higher versions are $849 for the 8, $949 for the 8 Plus and $1,149 for iPhone X. If you compare iPhone 7 to iPhone 8 and iPhone X, iPhone 8, especially iPhone X is the most expensive iPhone. 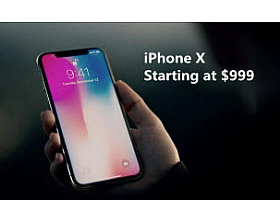 If you buy an iPhone X (64GB), how much is affordable for you? Apart from the enhanced 12MP rear camera, there is almost no big difference for iPhone 8 and iPhone 7 cameras. But iPhone 8 also has some new features on camera such as Quad-LED True Tone flash with Slow Sync, 4K video recording at 24 fps, 30 fps, or 60 fps etc. The big improvements can be seen on iPhone X that features 5.5-inch and OLED model and pair with the dual-lens vertical camera, and the smaller model with a single camera, both cameras with optical image stabilization and portrait lightning. 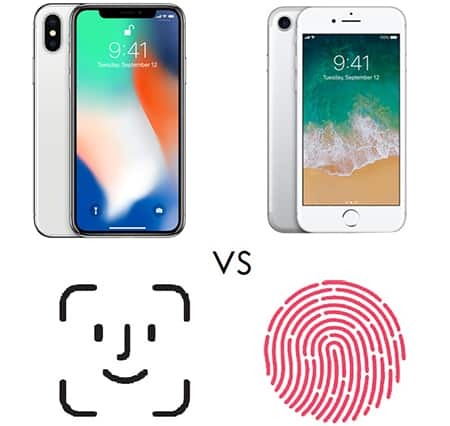 Compared with iPhone 7 and iPhone 8, one of the iPhone X pros is a must mention: Face ID, the replacement of the fringerprint sensor Touch ID. This facial-reconigition security system will allow iPhone X to verify the uers' face via the 3D camera and thus unlock the iPhone. Compared to the Touch ID in iPhone 8/Plus, iPhone 7/Plus, iPhone X is far more secure. 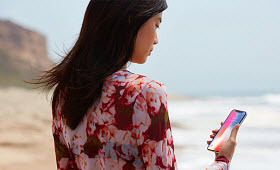 According to Apple, the Touch ID only had a 1 in 50,000 chance of unlocking for the wrong fingerprint whereas Face ID is even better: it has just a 1 in 1,000,000 error rate. iPhone 8 (Plus) come with the next-gen 6-core A11 Bionic, a chip designed to accelerate 3D apps and games. That is faster and more powerful than A10 comparing iPhone 8 and iPhone 7 or iPhone 7 Plus. The iPhone 8 has 2GB RAM and iPhone X has 3GB. To ensure the highest performance on iPhone X/8/Plus, there will be two types of cores. Tasks with low computing power demands will be preocessed by the high efficiency cores, and heavy duty tasks to the high power cores. This means faster speed and also longer battery life in iPhone X/iPhone 8. Therefore, faster and more energy efficient performance can be expected in iPhone 8. One of the biggest difference between iPhone 8 and iPhone 7 (Plus) is the way to charge the device. The 2017 iPhone 8/Plus will feature wireless charging for the first time, in the 4.7-inch model, the larger 5.5-inch and a high-end OLED model. 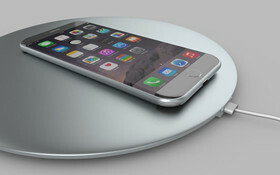 While wireless charging is nothing new to the market, Apple's long-range wireless charging technology will blow other methods out of water. With Apple's long-range wireless charging, users can charge the iPhone 8 within 20 minutes without staying close to the charging source or mat, which is a major reason to upgrade to new iPhone 8 from iPhone 7. Still have problem, get help from iPhone 8 battery life drain problem fix. With iPhone 7/Plus, Apple has finally done away with the 16 model lineup, with the storage starts at 32GB and ranges to 256GB. However, with photos and videos becoming clearer, apps messages, music, YouTube Red downloads getting crowded, 32GB seems to be not enough. 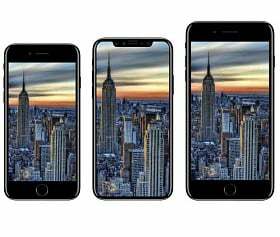 Compare iPhone 8/iPhone X and iPhone 7/Plus, the next-gen device will start from 64GB and go up to 256GB. With iPhone storage upgrade, you won't need to free up iPhone space all the time, and can transfer more music videos to iPhone freely. What's the difference between iPhone 8/Plus and iPhone 7/Plus? A bunch of new features that never come with iPhone 7 or earlier iPhones. Beyond that, the next iOS 11 is also a big upgrade to get excited. Specifically, iOS 11 has the Dark Mode, finger-detecting dynamic keyboard, improved Siri, smart Wi-Fi, iPhone-to-iPhone wireless charging and more cool features. 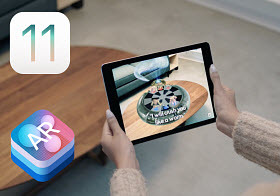 The most exciting new feature is Apple's ARKit in iOS 11, which brings amazing augmented reality experiences on the device. Apps like Pokémon Go have already demonstrated that how poppular AR is. Apple has made big leap in Siri on the new iPhone X/iPhone 8. Compared to iPhone 7/Plus, iPhone 8/Plus/iPhone X has a smarter Siri. First, the voical assistant has a more natural voice, with a new visual interface and its own button (triggering Siri via Sleep and Wake button). It not only searches for and siplayes results for your requests, but also translates from English to different languages, covering Chinese, French, German, Italian and Spanish. Besides that, you will see a more predictive Siri on iPhone 8/Plus than iPhone 7/Plus across different apps. Battery life stands as another difference between iPhone 8/Plus and iPhone 7/Plus. iPhone X has a battery life which lasts 2 hours longer than the regular iPhone 7's. 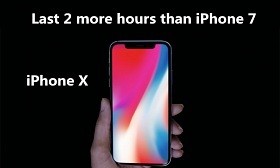 Specifically, iPhone X and iPhone 8 Plus can last for about 21 hours of talk time, while the iPhone 8 is rated for 14 hours. 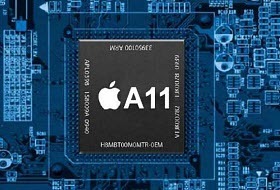 The battery improvement is mainly thanks to the its new A11 Bionic processor and other updates. 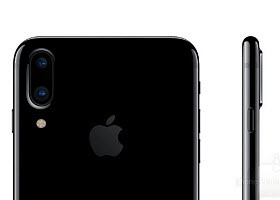 If you want to have hours of extra use with your device, apparently iPhone X/iPhone 8 is better than iPhone 7.
iPhone 7 introduced two new colors, Jet Black and Black. And later, its color options ranged with a red version, available in 128GB and 256GB models starting at £699. However, iPhone 8/Plus/iPhone X doesnn't give more colors, but fewer. It will come in Space Gray, Silver, and what Apple described as a "beautiful" new Gold. 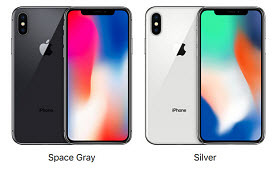 And the 10th anniversary iPhone X offers less, sporting only two colors: Silver and Space Gray. Verdict: Looking closer, we have to admit that iPhone 7/Plus has offered a bunch of improvements on its predecessors, including stronger chassis, water resistant, brighter display, faster processor, longer battery life, camera and many more. So should you upgrade to iPhone 8/Plus/iPhone X? Our personal opinion is, you should wait the revolutionary iPhone 8/iPhone X unless you need an iPhone badly. Moving to iPhone 7 can bring a series enhancements and features, but apparently iPhone 8 is a more attractive upgrade. - Securely backup iPhone 6/7 to Mac without iTunes error. - Transfer music, video, photo, book, etc to iPhone 8/X. - Unlock protection from iTunes purchased files, M4V to MP4. - Easily convert HEIC to JPG when transferring iOS pics. Make best use of iPhone X/8 and dig deeper in new features, pros and tips and tricks. 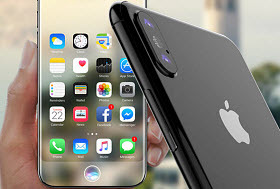 There are top 40 iPhone secrets for you to better utilize iPhone 8 Plus dual-lens camera, iPhone X Face ID, etc. This guide introduces top 6 ways to get free music downloads for iPhone 8 Plus/8. Plus, it shares the best free music download apps for iPhone as well as the top-rated sites available for you to download free music to iPhone. How to upgrade to new iPhone 8/Plus or iPhone X from old iPhone 7/Plus/6S/6, Android and Windows Phone? Follow the gudie and sync and backup your data, such as videos, photos, contacts, apps, photos, messasages everything fast and smoothly with iTunes, iCloud and 'Move to iOS'. 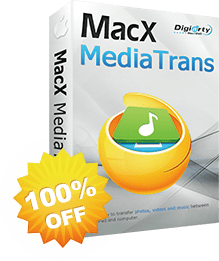 MacX MediaTrans is an all-in-one iOS iPhone transfer app to backup iPhone data to iPhone 8/iPhone X on iOS 11 and free up iPhone space for iPhone iOS 11 upgrade. Also a useful music manager to transfer music between iPhone iPad iPod and macOS. Thank you for your submitting! The zip file you downloaded would contain the license code for trial version.